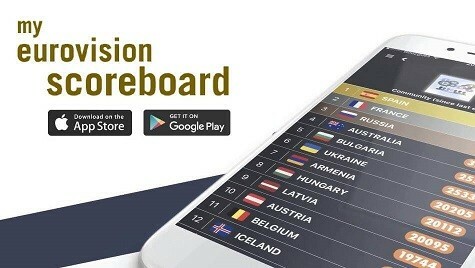 It was only three days ago when RTVE revealed that it had received 336 songs for Eurovision 2019. But the final total is not even close. The Spanish broadcaster has today confirmed that more than 1000 entries have been received for the upcoming Gala Eurovisión. The broadcaster shared the news on social media and provided more information on its website. The tally for 2019 is more than 800 songs up from last year! The broadcaster received a total avalanche of last-minute submissions before the process closed on November 15. Among them could be the #Eurotemazo that Spain is looking for! Being one step closer to Tel Aviv 2019, producers at both TVE and Gestmusic will now cut the list to just 20 entries and pair the resulting hits with the 16 artists of OT 2018. ¡Vamos allá! As seen from the increase on last year’s submissions, this year’s response has been really positive, demonstrating an increasing interest in Spain’s Eurovision act for 2019. A total of 953 songs have been sent through the online form that RTVE set up, guaranteeing that any author could participate in the song submission process. But parallel to this, the Spanish broadcaster — together with show producers Gestmusic — have also invited select songwriters, resulting in over one hundred more entries. So around 1050 songs were received in the 15-day song submission period for Spain. Multiply this by three minutes per average entry, that’s a total of 3,159 minutes of songs or about 52 hours of music! As RTVE also revealed earlier this week, pop songs and over-the-top ballads compound the majority of the songs sent. Heavy metal, ‘trap’ and Latin rhythms are rarer — but definitely present — in the submissions. From the 1000 or so entries received, only 20 will be finally paired with the 16 contestants of OT 2018, including those who have already been eliminated from the show. Ten songs will come from the submitted online and ten more from the internal selection. In all cases, authors could name their preferred contestant to sing their song, but this is not binding. The 16 OT contestants will record demos of their potential Eurovision songs and they’ll be made available online. Then it’s up to the audience to vote for their favourites, with the top three going straight to the Eurovision Gala. Up to seven more will make the final cut, as selected by a professional jury. This will form a total of ten songs that will battle it out in the Eurovision Gala to be Spain’s choice for Tel Aviv. The Eurovision 2014 singer broke the news on the OT companion Chat show: Ruth Lorenzo has written a song for one of the contestants. But not any contestant. As she explicitly stated during the Gala, Famous is her ultimate favourite. So in all fans’ minds, we wonder: could Famous fight to represent Spain with a song from Ruth Lorenzo? Writing again for Spain is “Lo malo” author Brisa Fenoy. Following the brutal success of Aitana and Ana Guerra’s fiery duet with her song, Brisa Fenoy is hey-baby also coming back. But she hasn’t just submitted one song, or two… but multiple entries. Reportedly earlier this week, OT 2017 contestant Cepeda with David Santisteban teamed up to write a number with one man in mind: Famous! That’s quite a number of submissions! What sort of songs do you want to hear in the Eurovision Gala? Which of the OT 2018 acts would you like to see represent Spain in Tel Aviv? Tell us in the comment section below! I wonder if she wants to write for eurovision? I have high hopes and a lot of praying, tha spain will send a WOW WOW WOW SONG !!! Let the song be only in spanish!!!! I’m sure they have great songs in there. However, I suspect RTVE will find a way to mess this up, per the usual. UPDATE: Carlos Jean’s song, “Tocaremos el cielo” (We’ll touch the sky) has been revealed. And guess what… It’s horrible, a combination of a lot of things, very weak and very 2009. Hope it doens’t make the cut. If it make the cut it will be paired with a group made with the first eliminated contestants. Update on the update: He has taken it off YouTube after all the criticism so that he can improve a few things without the pressure of the Eurovision deadline. Well, frankly speaking, that’s not a good thing at all. Greece’s 2008 success was all about the song choice, Kalomira’s live performance was really bad. And I don’t really think that she’ll be able to find another good song to compete with. But we’ll see what happens. And what about Tamta? Another turn for Cyprus? If the songs can only be in Spanish, Famous had the bad end of the straw, as for me he’d suit an English song. They could fudge it and do it partially in English (like, hey whaddaya know – Ruth Lorenzo). We surely must have something good in our hands if we got that many entries. Now, let’s hope we pick the right track and we don’t fumble the staging. Oh, more than 1000 song! But eventually we’ll send a bland act and finish in the last places. Honestly? Well done, Spain! There’s gotta be some strong options in there if that many entries were submitted. But I will join the crowd and say that Famous singing a Ruth Lorenzo song could potentially be top 5 material. If they come up with something to save them from the humiliation to finish on the last places in the final, I declare myself pleased. Woow! That sounds great ! Really looking forward to hear the entries. Famous singing a song by Ruth Lorenzo already sounds exciting. Hope they don’t disappoint us.